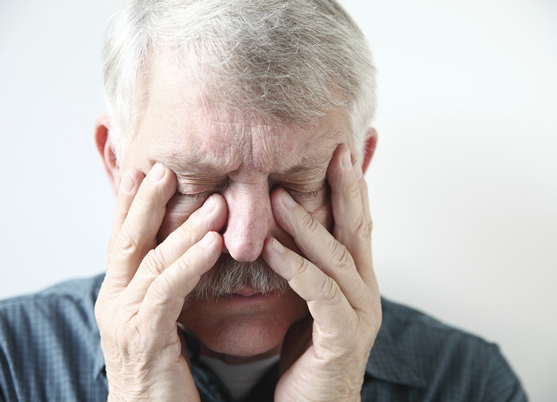 Balloon sinuplasty is an in-office procedure designed to treat chronic sinusitis in patients whose condition does not respond to medical treatment. It’s a safe, effective and much less invasive alternative to traditional sinus surgery. An estimated 37 million Americans suffer from sinusitis, making it the most common chronic condition in the United States. This inflammation of the sinuses causes a variety of persistent, cold-like symptoms including sore throat, congestion, facial pain and pressure, coughing, headache, fever, bad breath, loss of smell and taste and fatigue. It is most often the result of a viral infection, but may also be caused by nasal polyps, a deviated septum, head trauma or other structural abnormalities. Medications and home remedies bring relief to many, but for others, surgery is the best (or only) option for treating chronic sinusitis. Traditional endoscopic sinus surgery requires cutting and removal of bone and tissue, leading to the possibility of pain, scarring and a lengthy recovery period. Balloon sinuplasty, by contrast, is a minimally-invasive, FDA-approved procedure that is quick, painless and carries a much lower risk of postoperative complications or side effects. In fact, some patients are able to resume normal activities—often within 24 hours of the procedure—without any issues. Additionally, Medicare covers the procedure, as well as most insurance companies. The operation is performed in an outpatient setting using local anesthesia. A balloon catheter is inserted into the sinus cavity and inflated, expanding the sinus opening and widening the walls of the nasal passages to aid in normal breathing and drainage. Debris is flushed from the sinuses with saline solution, and the catheter is removed. While the duration of the procedure varies, the average procedure time is three hours (including surgery and post-anesthesia recovery time). Studies have shown many patients report a significant improvement in symptoms without any adverse effects: A study of 1,036 patients reported symptoms improved in 96 percent of patients ten months post-procedure. Another study followed 65 patients and reported they had significant improvement in symptoms two years post-procedure. Balloon sinuplasty can be effective and offers dramatic results, but may not be right for every patient. Those interested in exploring the procedure should visit www.AdvancedENTandAllergy and call one of our 10 locations to schedule your appointment today.